Here at Topline, our trampoline designs are centred around the needs of our customers. Our trampolines for sale are Australian-made, designed uniquely here in Australia for quality you can trust. 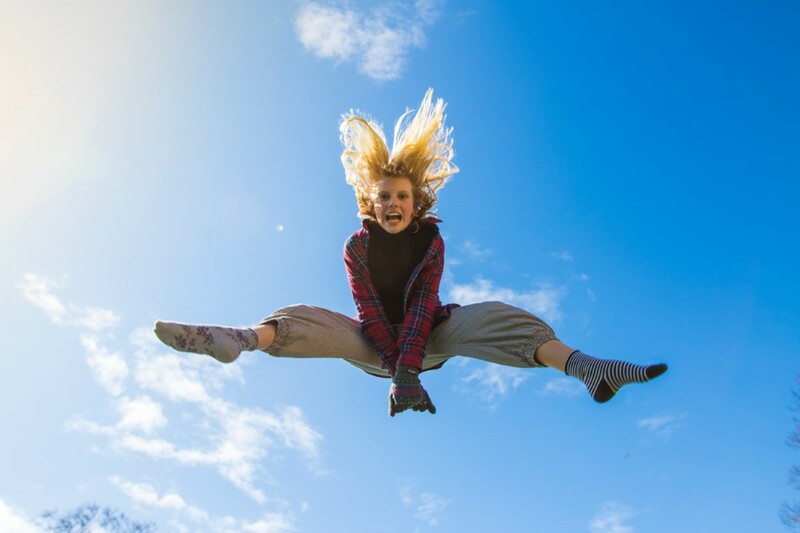 We understand that trampolines are an investment for your family, so keep reading to find out why Topline assures a high standard of safety and performance. Here at Topline, we have 50 years experience in supplying top quality trampolines to Australians nation-wide. Our expertise ensures that you receive the best quality, for an excellent price. Furthermore, we back our own products with an extensive warranty. All of the trampolines for sale that we manufacture are designed with our customers in mind. From the tough Australian climate to the day-to-day wear and tear any trampoline must withstand, we have created our trampolines to last. This ensures that you receive great value for your money. We deliver straight to your home address! Our private retail outlet and showroom is open to our customers 5 days a week, so there is no need for you to battle busy car parks or shopping centres to decide which one of our excellent trampolines suit your family. As a trampoline is a considerable investment for any family, it’s imperative you’re able to make an informed decision. Topline Trampolines are a family-owned, Australian based company. As our top quality trampolines are made to last your family in Australian conditions, purchasing a Topline Trampoline prevents excessive replacement costs or rapid wear and tear. Our experts are available to answer queries or questions regarding our trampolines for sale in Australia. Contact Topline Trampolines at (07) 55940146 today! Trampolines are an excellent addition to any family repertoire of toys and sporting equipment! They usually last for between three and eight years, depending on how often one is used and environmental factors. If you’ve previously succumbed to purchasing budget, low-quality trampolines, you must observe closely for signs of wear. If the following signs are present on your aging trampoline, replace your worn out trampoline with a high-quality, Australian-made trampoline today, manufactured by Topline Trampolines on the Gold Coast. In the long run, purchasing Topline’s high-quality replacement trampolines for sale, which are designed for Australian families, will save you money and allow you peace of mind. It’s important to pay close attention to the different parts of a trampoline to watch for signs of wear. You may get by with a replacement part here and there. Eventually, there will come a time when you should begin searching for new trampolines for sale. The following list will help you determine if you need a complete replacement. Check the packaging or visit the manufacturer’s website to look for an estimated lifespan for your model. This will give you an idea of how soon you should plan on shopping for a new trampoline. Once the trampoline reaches the end of that lifespan, you should consider a replacement. The deterioration of low-quality trampolines may decrease a poorly made trampoline’s performance and safety. Occasionally, your trampoline may need to have a part replaced due to increased wear and tear. Although some may say that this is normal, our Australian-made trampolines are designed with Australian weather, conditions and family lifestyle in mind. If you are replacing parts more frequently or have several missing or damaged components to deal with, then it may be time to look for new, well-designed trampolines for sale. The Metal Structure is Showing Signs of Rust or Corrosion. Rust and corrosion can appear on trampolines with poor quality legs and frames. Small spots may not affect performance, but eventually, these can lead to major structural concerns. If yours is showing this type of wear, then you should consider looking for high-quality, Australian made trampolines for sale, that are designed to weather the wear and tear of Australian weather. Whether you’re a first-time buyer or need a replacement, we can help. Topline Trampolines bring 50 years of knowledge in the business. 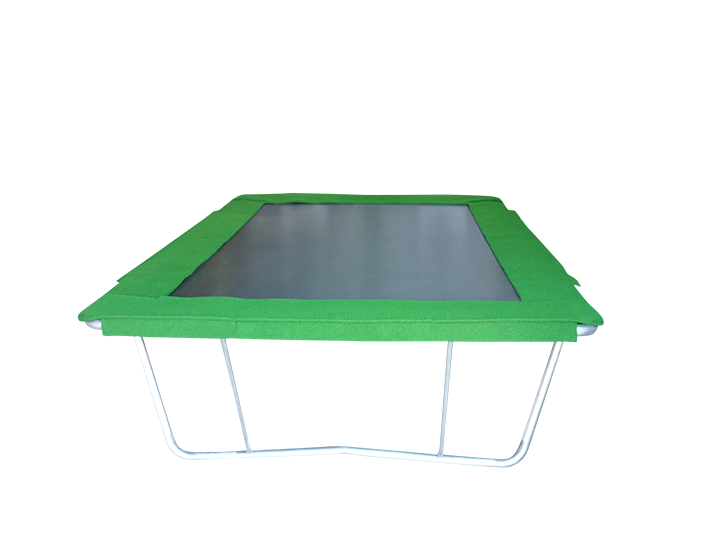 We produce well-priced, Australian-made trampolines, which are built to endure Australian conditions and will not wear easily. Contact us today to learn more about the best trampolines for sale in your area. In-ground trampolines are a brilliant option – they’re great fun and look fantastic. We sell all the trampoline bits and pieces, but you’ll need to get a builder or landscape gardener to construct the pit. The pit will need to be built to certain specifications (you can find them here) in order to ensure the trampoline will fit – if you have any questions, feel free to contact us. A new trampoline can be lots of fun! Once you assemble it, your equipment will be ready to go. Over time, parts can begin to weaken, become damaged, or fail. No matter how high-end your model is, you will eventually have to take steps to keep it performing at optimum levels. The first step is to familiarise yourself with trampoline mats, springs, netting, and other essential parts that may need to be replaced. 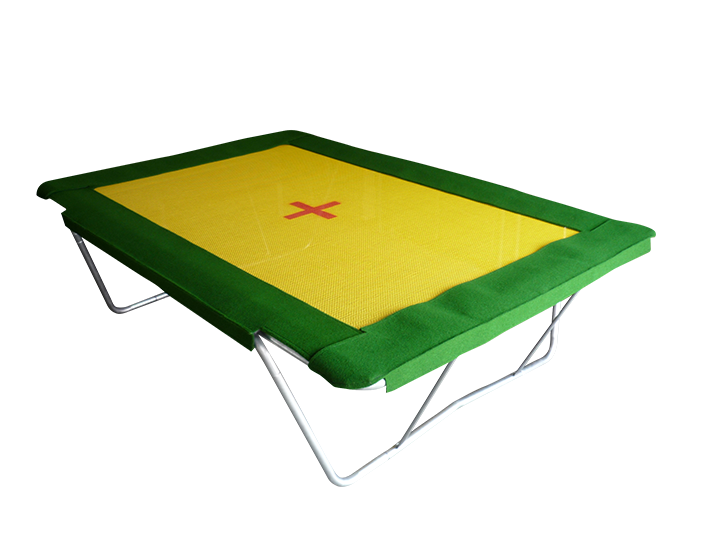 The trampoline mat is a woven surface that covers the top of the trampoline. This is the fabric that you jump on each time you use it. If this part develops holes, tears, snags, or excessive wear, you may need to buy a replacement. Trampoline pads are another important part that is necessary for safety. 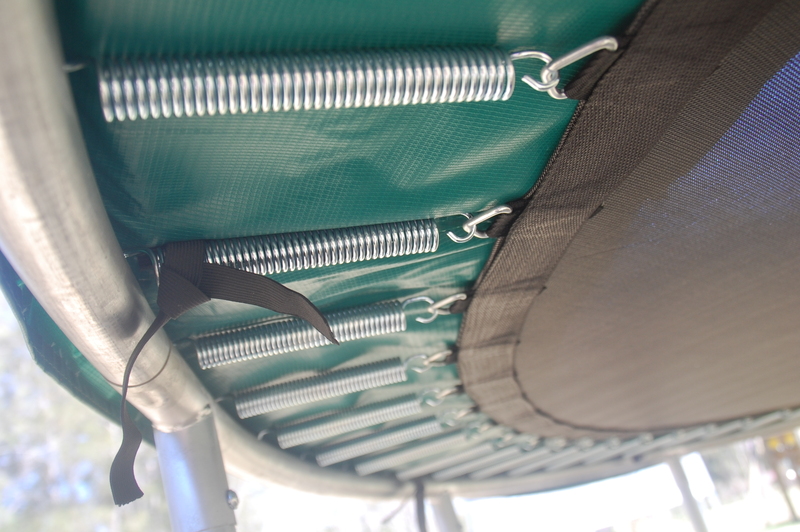 Also known as a spring pad, this component is made of a lightweight, heavy-duty material that covers the springs. It sits on top of the springs and frame, surrounding the mat area. 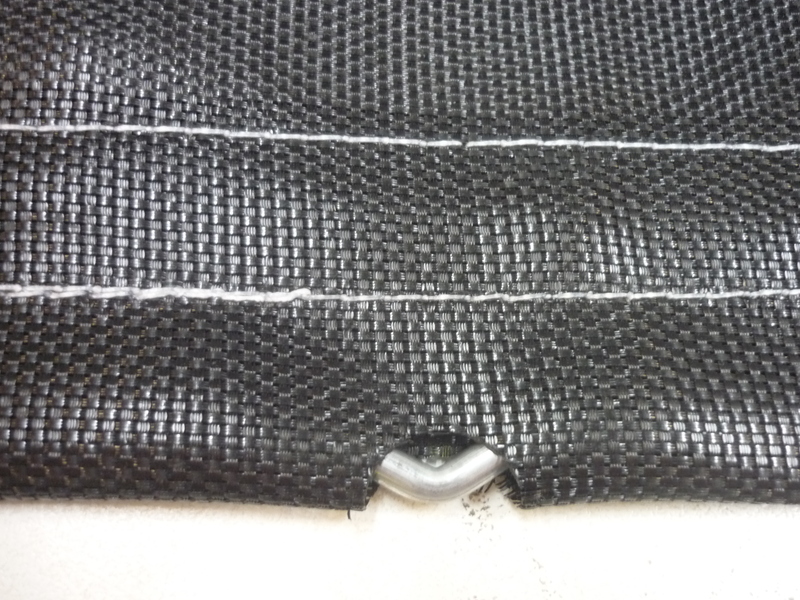 The pad is required to prevent bouncers from landing on the springs and getting pinched or injured. They also add fun colour to your backyard. The springs and wires are used to connect the mat to the frame. They provide that fun bounce and help protect your body when using the trampoline. This occurs through slowed energy transfer. The springs slow the way energy is absorbed by the body when you jump, reducing the risk of injury. That’s why you should always use springs that are long enough and made with high-quality materials. Many households add netting to their trampoline as a safety precaution. This is recommended for young children. 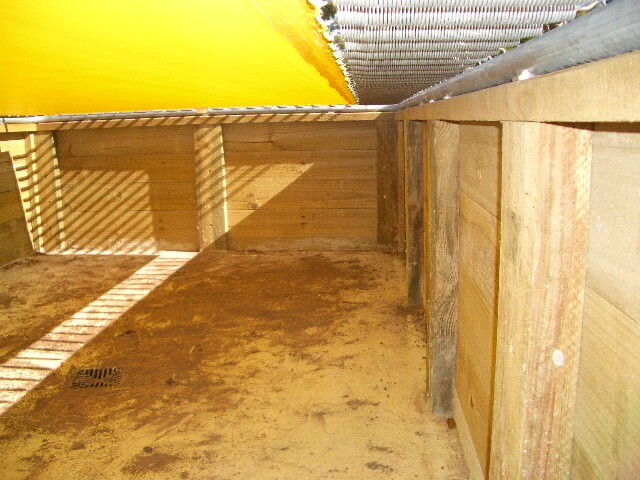 Supports extend up from the frame to secure a layer of strong netting. This helps catch bouncers so that they don’t fall off the trampoline. Other parts are necessary to construct a trampoline, including steel tubes, leg extensions, and “T” junction parts. If you have questions or notice problems with yours, let us know. The experts at Topline bring over 50 years in the business. We can answer questions and guide you to the best replacement parts at low prices. Whether you need trampoline pads, mats, netting, or springs, we can help. Call us at (07) 55940146 or browse our online range for more information. Why Are More People Choosing to Get Fit with An Australian-Made Trampoline Melbourne and Beyond? Finding better ways to get and stay fit can be challenging. That’s why more households are adding a trampoline Melbourne wide. Topline Trampolines are perfect, as they are high-quality and Australian made! What’s more, you can browse a wide range online, and your purchase can be shipped Australia-wide. Daily workouts are great, but they can become monotonous. A boring exercise routine can cause motivation to wane. That’s where trampolines come in. They keep things interesting and help you stay in great shape! Why should you consider adding one to your home gym or backyard? Jumping on a trampoline can improve your body’s lymphatic flow. This system consists of organs and tissues that help remove waste and toxins. It relies on conscious body movement to function. Each time you use your trampoline, you’re making lymphatic valves open and close. Rebounding will keep your system operating at optimum levels. Did you know that bouncing on a trampoline can increase your bone mass? Studies have found that the increased G force experienced while on a trampoline strengthens bone structure. This can help prevent osteoporosis and other similar conditions. It also fortifies your tendons, ligaments, and joints so that you are less likely to develop some types of arthritis. The combined mental, physical, and emotional effects of bouncing on a trampoline can have a powerful impact on your stress levels. A light bouncing session will increase circulation that helps loosen muscle tension. It also causes endorphins to be released. Many people are trying a trampoline Melbourne wide as a better way of dealing with daily stress. Regular bouncing sessions can improve your posture and balance. The strengthening effects give you more control over your body. Jumping will also stimulate the vestibule in your middle ear which improves balance. A Fun Activity That’s Always Exciting! A workout won’t help much if you get bored and stop doing it. Trampolines are always exciting and add instant fun to your daily routine. They come with a long list of health benefits, so every bounce is helping you get and stay fit. Combine with other types of workouts to maximise your results. Where Can I Find the Best Trampoline Melbourne Has to Offer? If you’re ready to take your fitness regimen to the next level, you need a trampoline. Topline makes it easy to find the right model based on your needs and space limitations. Contact one of our experts to learn more about available models and their features. We’ll show you the best trampoline Melbourne and Australia-wide so that you can stay healthy the fun way! Trampolines Inground vs. Above Ground: Which is the Best for My Family? Trampolines are a fun way to stay fit and entertain the whole family. If you are thinking about adding one to your backyard, you’re in luck. There are many models available. The first thing to consider is whether trampolines inground are better than above ground for your household! When you think about trampolines, you probably envision one that is above ground. This would be a model that is set up on the ground so that you can see the entire frame – including the legs. The mat is elevated so that bouncers have to climb onto it. It’s relatively easy to set up and requires no additional excavating or landscaping. If you want to use trampolines inground, then you will need to dig a pit. This should be at least 1 meter deep with adequate drainage to prevent water from pooling inside. You will also need to construct a retaining wall around the sides. Once it is set up, you can walk onto the mat without climbing up onto the frame because it sits at ground level. To set up an above-ground model, you’ll need a level space with no obstacles. Just follow the manufacturer’s instructions, and you’re ready to bounce. Inground trampolines will require more setup. Once you have dug a pit, you will need to line it with a sturdy retaining wall that’s at least 120 mm wide. This keeps dirt from falling in and will support the fame, which will be bolted onto the wall. How Does the Trampoline Look? When it comes to aesthetics, inground trampolines are a definite winner. The extra work pays off because the equipment has a lower profile. It blends better with its surroundings and looks more inviting. You can work in decorative landscaping near or around the trampoline to add even more visual appeal. Trampolines inground win when it comes to overall safety. There’s more freedom when stepping on to the mat or dismounting. Children will feel less intimidated than they do climbing onto an above ground setup. Proper safety precautions should be applied no matter how you install your trampoline. There’s always the risk of falling. However, an inground model can reduce the risk of height-related injuries. If you have questions, we are here to help. Contact Topline Trampolines at (07) 55940146 or visit our showroom in Molendinar, QLD to talk to an expert. Christmas is just around the corner and it’s time to start thinking about your Christmas gifts! A trampoline is really the perfect gift for families, big or small. It’s the gift of endless fun and joy that the entire family can enjoy! Not to mention it will get your kids off the couch and outside bouncing! The ideal trampoline for the entire family is the Pro Jumbo, a quality, sturdy, bouncy and long-lasting trampoline. You can be reassured that our trampolines are of the highest quality as the Pro Jumbo is made right here on the Gold Coast in our factory! Our trampolines can sell out fast as they are a very popular gift. So if you’re planning on getting your kids a topline trampoline for Christmas be sure to order now or Lay-by over the phone with a deposit. Contact our friendly team for more information on Christmas delivery times and Lay-by options.